New Zealand is at a crossroads. People are increasingly concerned about where we are headed. Can we improve our appalling statistics on poverty and violence? What about work - will we all be replaced by robots? Will our children (let alone our grandchildren) be able to afford to buy a house? Can we clean up our rivers? This book looks at many aspects of our lives and our nation. Experts in their fields write about the challenges that face us and the opportunities we have to make changes for the better. 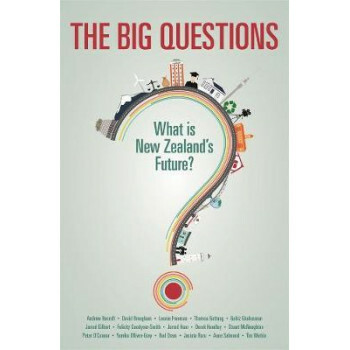 A fascinating set of perspectives and ideas on our way of life and our future as a nation. Writers are- Dame Anne Salmond, Judge Andrew Becroft; Rod Oram; Jacinta Ruru; Felicity Goodyear-Smith; Tim Watkin; Patrick Reynolds; Jarrod Gilbert; Stuart McNaughton; David Brougham, Jarrod Haar & Yumiko Olliver-Gray; Golriz Ghahraman; Theresa Gattung; Peter O'Connor; and Leonie Freeman.